On April 1, 2018, Air Solutions & Balancing, LLC’s President, Olaf Zwickau, announced the acquisition of Advance Air Systems based in Ft. Worth, Texas. This acquisition presented an amazing growth opportunity to build upon the existing Air Solutions’ TAB division! Over the past 20 years, Advance Air and their team of employees have established a great reputation as a leading independent certified TAB firm in the Texas market. Welcoming the Advance Air team into the Air Solutions & Balancing organization will immediately expand upon the services and collective technical experience ultimately benefiting customers on projects nationwide. 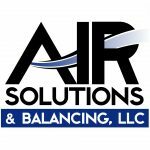 Effective immediately, Air Solutions & Balancing will be working closely with the employees, customers and accounts for a seamless transition.